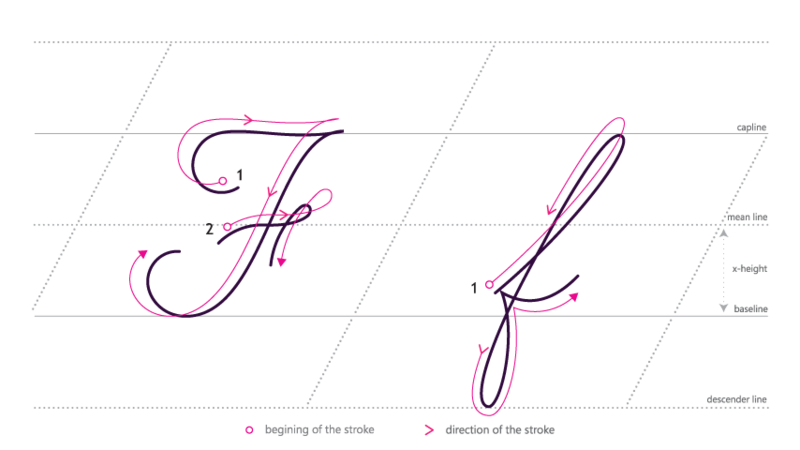 What is a Baseline and How is it Used in Typography? Put simply, baselines are the invisible line your words sit on. It’s a pretty basic concept with a significant impact. I mean, after all, have you ever tried writing in a straight line on an unlined sheet of paper? It’s hard, amirite? However, when you delve deeper into the concept, you will see how they play a key role in defining different elements of glyphs and characters. Let’s take an in-depth look into baselines and how they affect your modern design. So, we kept it pretty simple in the definition, but there’s a bit more to the story. See, baselines aren’t just a seat for your words to chill on. They’re also the benchmark measurement for the constituent parts of letters. And that makes sense because when you think of the word baseline, your mind likely prepares to see a comparison. a specific value or values that can serve as a comparison or control. Typography. the imaginary line on which the bottoms of primary letters align. It makes sense, then, that everything relates to the baseline. But what exactly is the everything we’re talking about? Let’s explore some phrases you will need to know -- and, ultimately, how they relate to baselines. Getting a grip on these terms is a vital step in becoming a master of design. The descenders are downwards strokes on letters that dip below the baseline. Normally, you see these on lowercase letters g, p, q, and y.
Descenders help us recognize letters. A clean baseline is an important part of making text legible. Designers tend to prefer old style when it comes to laying out text because it fits in better with the ups-and-downs of lettering. If you take a look at old-style numerals, you’ll see many of the numbers dip below the baseline. Ok, we don’t think you don’t understand the concept of capital and lowercase letters. However, if you study letters closely, you’ll see there are subtle variations between different characters. For example, most lowercase letters sit perfectly on the line. However, c and o tend to extend slightly below. This has been done to create the illusion that they actually do sit on the line. Similarly, most capital letters rest on the baseline, but you’ll likely see those with curved bottoms (such as J and Q) dip below. Pretty simple, huh? We can use these design variations to convey a lot about our message, culture, or even intent. However, we’ve got to keep it to the specific context of baselines. Basically, a section of a glyph could fall below the baseline in one typeface and not the other. It’s kinda interesting, but not groundbreaking information. Let’s dive a bit deeper into why baselines matter in your designs. Baselines are a dream for a modern designer because the technology does so much of the work for you! In this section, we’re going to look at three specific tricks you can use to enhance your design using this newfound knowledge of baselines. Baseline grids are parallel, horizontal lines on your page. You’ll use them to keep everything is in a row. Plus, they’re useful when it comes to placing negative space in your design. Web designers, specifically, can use this grid pattern to create visual consistency. It’s a simple, quick way to check whether the elements of your design are aligned. If you’re looking for an easy way to scale your font sizes (while keeping the negative space between lines consistent), use a 4px baseline grid. The trick is simple. Just take your font size, then add 4px. It’s an incredibly simple way to keep consistency in your work. And they, in turn, stand out measurably from the body text. This visual hierarchy is about learning the art of sizing and whitespace. Your baseline grids will increase the white space around your text and place greater focus on your most important elements. But only if you create a proper visual hierarchy.